This brightly coloured display of 300 young Count Zeppelins, is a great example of the work of Ottmar Hörl, the artist who delivers fun and thoughtful works consisting of a multitude of something. 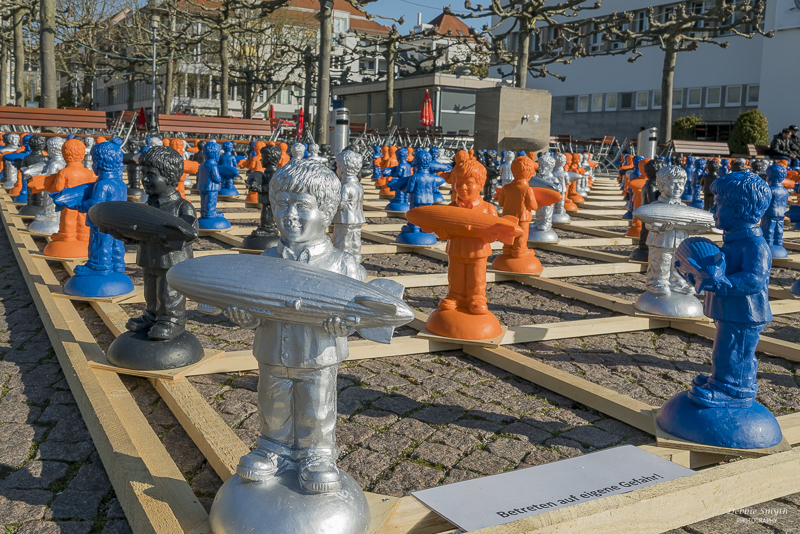 This exhibition was in Friedrichshafen in 2017, commissioned by the Zeppelin Museum as a taster for their forthcoming exhibition on “Cult! Legends, Stars and Icons”. 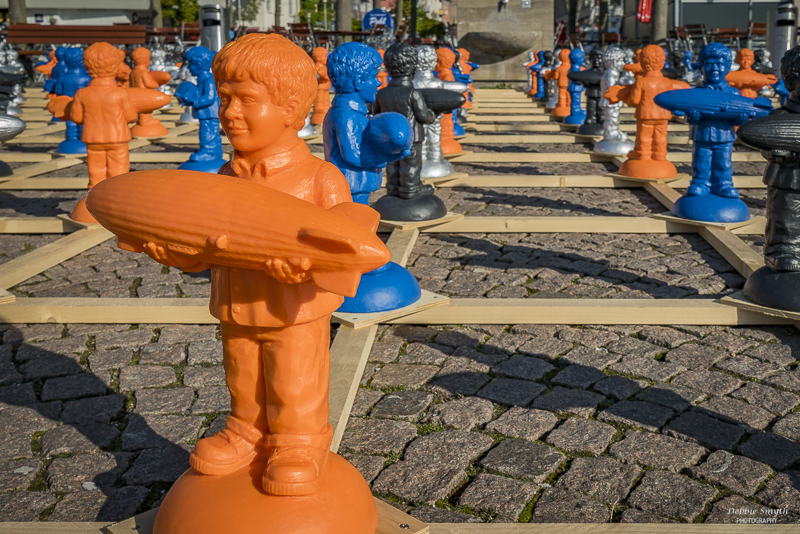 These blue, orange, black and silver young lads were inspired by the sculpture of the boy holding an LZ3, that sits atop the Zeppelin fountain. Entitle “The first step is always the hardest”, this installation is an invitation to reflect upon the challenges posed by any new beginning. I first discovered the work of Hörl back in 2015, in the form of a giant pink rabbit that sits outside a restaurant in Vienna, but my wanderings since then had never coincided with one of his displays in action, until I bumped into this in the birthplace of the Zeppelin airship. 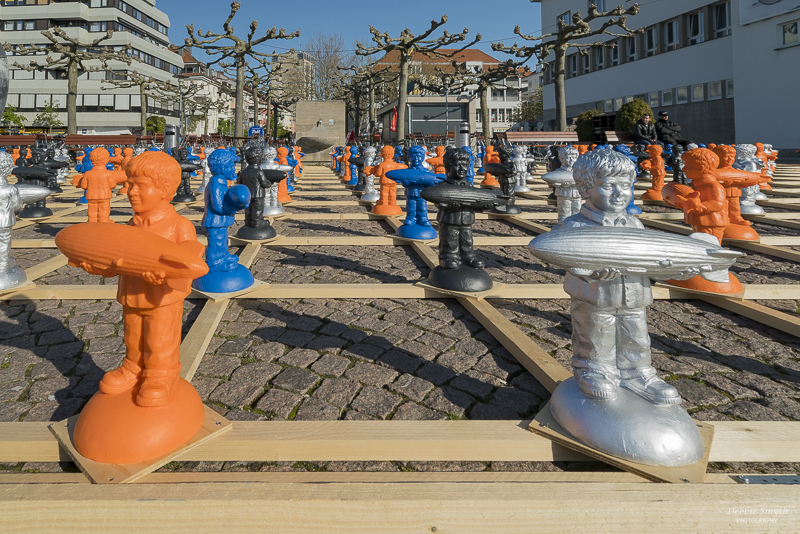 You just reminded me of a display that we saw in Frankfurt!